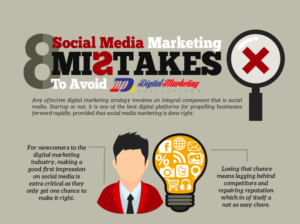 Taking on social media is not a difficult task and no matter if you’re a beginner or an experienced professional, you will commit mistakes. No matter how hard you try to avoid them. 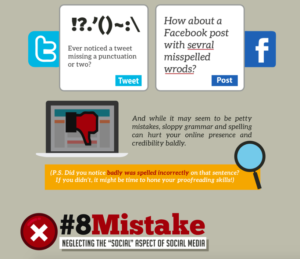 Some mistakes are however more important than others to avoid as they can harm your social media presence a lot. Some mistakes are also more easy than other to avoid and being aware of then is the first step. 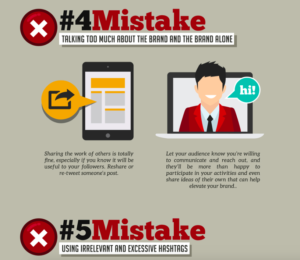 As a person with several years of experience with social media marketing, I can spot brands and marketers making these mistakes every single day and it’s a shame because a thing so small as sharing too much content can have a huge impact but if you’re new to social media, it might be hard to know. I know because I’ve gone through the exact same process. Starting out as a beginner is always a tough challenge and on social media especially. There are so many small things you have to think about and so many traps you have to avoid. 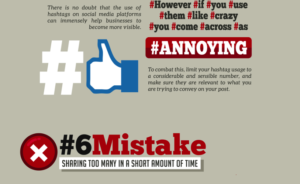 This is why i thought it would be a good idea to share an infographic on 8 common social media marketing mistakes. 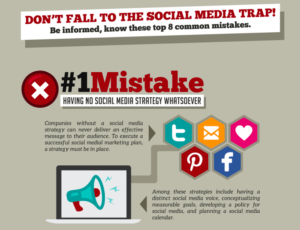 My objective is to help you avoid these mistakes in the future so you can gain better marketing results from your efforts on social media. 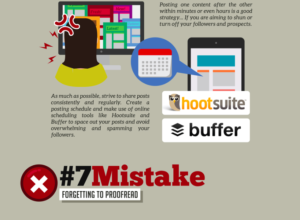 In this infographic, there are eight very common mistakes that you might be committing or will be committing and below, you can find more in-depth articles on each of the points below so you can turn the mistakes into something god instead that will help you in your social media marketing efforts. 2. 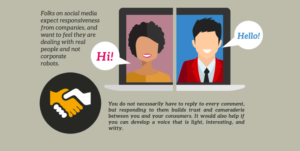 How to Decide What Social Media Channels to use for my Business? 6. 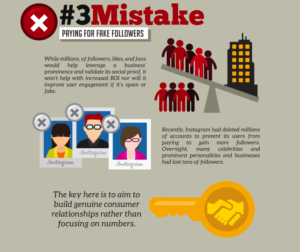 What is the Ultimate Amount of Posts You Should Publish on Instagram? 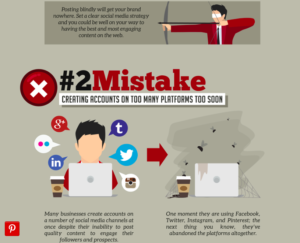 There are a lot of mistakes and traps on social media and it’s hard to avoid all of them. At some point, you will make some mistakes on social media and when you do, it’s important that you quickly correct it. Now that you know these 8 steps, you should have decreased the risk of committing them and therefore you should be able to generate better results in the long run!